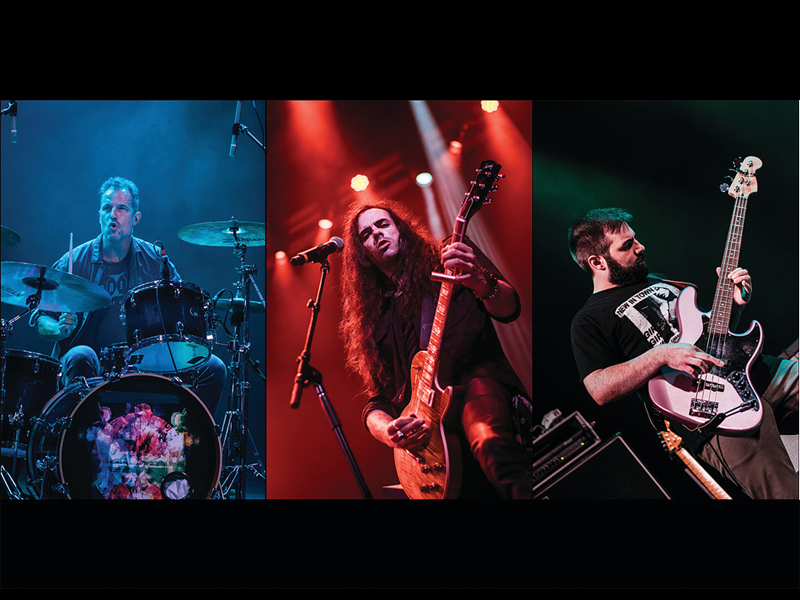 James Mauri and his band The Blackriver Stones from Connecticut are a power trio that evoke the musings of Pink Floyd, Led Zeppelin, and have been compared to Greta Van Fleet and Soundgarden. James sings and plays guitar, theremin and keys and is joined by Peter Wilhoit on drums and Joao Joaquim on bass. James learned to play the guitar at the age of 12 (he received his first guitar at a much younger age). Driven by a desire to make the music he was writing, he learned bass, drums and keyboard. At the age of 16 James was writing and producing music in his basement recording studio in Westport, Connecticut. At 18, he moved to Orlando, Florida where he was voted as one of the Top Ten Orlando Music Acts by the city's top rock radio station, REAL RADIO 104.1FM. A few years later he met and established a partnership with Grammy Award Winning Producer, Ray Bardani (the Swans, Luther Vandross, Harry Chapin, Elvis Presley). With Ray's help James has established himself as a dynamic singer-songwriter who performs regularly in and around the Northeast. Both his performances and videos have garnered the attention of those who appreciate a gifted and commanding performer . With over 50k views on his YouTube he has cultivated a worldwide reach on his own.